A “style” describes the CSS animation. A “keyframe” indicates the flow of animation styles from beginning through the end. The following three features are major advantages, which the CSS animations have over other traditional animation techniques (which are script-driven). Having the browsers themselves control the flow of animations (such as animation refresh rates, etc), has lead to best performance optimization and smoother animation flow. Creating a sequence of CSS animation involves using the style component to set the animation’s properties and sub-properties. You get to configure the duration and timing of the animation, along with details related to how the sequence of animation should progress. But, you do not get to configure the appearance of these animations using the style, for which purpose you will be using the @keyframes component. animation-delay: This helps configure the time delay between different elements of the loaded animation and the sequential animations. animation-direction: This configuration sets the direction of individual animations, and also states if the particular animation will repeat itself in the same sequence or in a different direction on its consecutive runs. animation-duration: Sets the time an animation would take to complete its single cycle. animation-iteration-count: Sets the number of times an animation would repeat itself. If set to infinite, the animation would go on indefinitely. animation-name: This specifies the at-rule name, which describes an animation’s keyframes. animation-play-state: You can configure an animation’s pause/play status. animation-timing-function: With this configuration, you can establish the acceleration curves of the animation, setting its keyframes transitions. animation-fill-mode: This configures the values applied to an animation, (before & after it’s execution). As mentioned before, the keyframes allow you to configure the animation’s appearance. For this, you will need to setup at least two (at-rule) keyframes. These keyframes represent how individual elements of the animation render themselves within a set time frame. This time frame is denoted by a “percentage” system by the keyframes. A 0% represents the start of an animation, and 100% represents the finish; they are given as from/0% and to/100% respectively. Though both these are optional, they are very important, and thus, the browser by default computes all the attributes of the animation and starts and finishes it accordingly, when the values are not provided. The following are CSS3 animation examples, which should give you a brief understanding of how this works. This example shows that at 25% of the animation, the header will have the right margin at 75%, with the width being 200%. This example has two keyframes; first occurring at 0% and the second at 100% (by default, since the values aren’t provided); this effectively starts and finishes an animation. The right margin is at 100% with a width of 500% at the start of the animation, and ends at 0% of the right margin with 100% width. Therefore, the browser animates a header from left edge to the right edge. With that, by including additional keyframes you can add intermediate steps and thus, amend the CSS3 animations as per your requirements. Author K2B SolutionsPosted on December 4, 2014 Categories Website Design ServicesTags creative animation, Creative CSS3 Animation, creative web design, css3 animation, css3 animation effects, css3 animation examples, css3 animation websites, html5 css3 animation, web design inspiration, web page animation, websites with animationLeave a comment on What are the ways to create animation using CSS3? How to setup your Website Navigation menus? A website’s navigation menu guides the users to different parts of the website, making it the link between its various useful web pages. Designing an effective navigation menu is one of the easiest ways by which you can keep your customers interested in the various stuffs your website is to offer. Modern website designers play with the various concepts of creative menu design, from simple to ultra complex menus, they come up with different “shapes and sizes” both literally and figuratively. But, what makes a navigation menu tick is its ease of use and customer comfort. You may have a design that looks extraordinary, but if it fails to impress the users due to its lack of usability, then it most likely will not serve its purpose and will hit the drawing table before long. Therefore, before going with a website menu design make sure it is apt for easy navigation and compliments the website’s services or purpose. Now, with that said let’s have a look at the different ways by which you can design a navigation menu that works. To begin with, here are what HTML5, CSS3 and jQuery have to offer. • The <nav> tag introduced in HTML5 is a set of navigation elements that’s designed specifically for the major navigational links, and are fully supported by all the major browsers. This tends to give greater flexibility to the developers using HTML5 for navigation menu design. 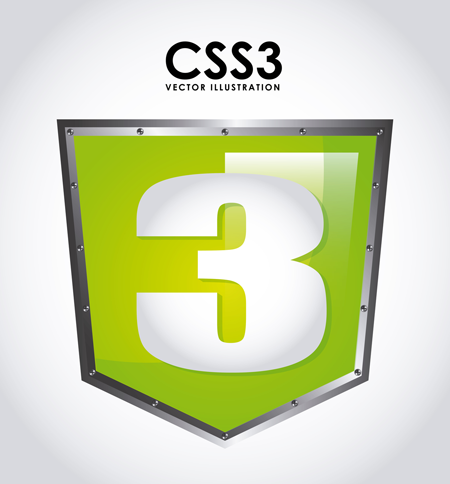 • CSS3 is a web editor that suits both the new comers as well as the experienced. This has an interface that allows you to create websites guided by visual feedback, thus giving you the opportunity to design the websites with a clear picture of how it’s going to be when done. Also, CSS3 features lots of editing options, that’s a treat for web designers. • Using the jQuery navigation menu is one of the most common of ways when it comes designing the navigation menus. Tabbed menus with dropdown options looks organized as well as provides a very convenient atmosphere for the users to navigate through. With jQuery you can get all the menu personalization with ease including animation and other effects. Using these tools to design a navigation menu, allows for us to take advantage of all the specialized features they offer the developers. Here’s a quick look on what can be achieved, when these features are put to good use. Being one of the trickiest parts of designing a responsive website, the responsive navigation menu offers the best accessibility to the users and allows for them to experience the convenience of the desktop’s menu system while offering the comfort of mobility. All top website designs usually feature responsive navigation menus as part of their design, ensuring flexibly and enhancing the website’s reach amongst its users. As mentioned earlier, the best menu design is the one that exerts least amount of strain to the user, both in terms of menu layout and in giving clear perception on where they are in the website’s hierarchy. To attain this, the developer must ensure the consistency of the navigation design through all the web pages; this will keep the users comfortable and allow them to feel familiar with the design. Along with this, Breadcrumb navigation is an option that you must provide your users with, as they give a sense of direction to them. Most feel that this is a hassle that a designer can live without; however, the convenience in using the breadcrumb system outperforms its development effort. Getting your website design up and running, is an effort that requires understanding of the target customers and their requirements. 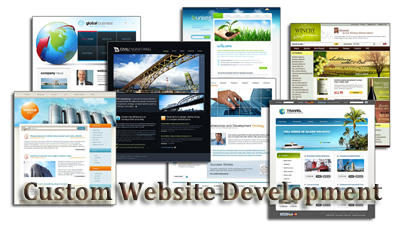 An expert web design and development company will be able to offer all this within a simple package. Author K2B SolutionsPosted on October 21, 2014 October 21, 2014 Categories Website Design ServicesTags best menu design, creative menu design, jquery navigation menu, menu design ideas, navigation menu, navigation menu design, responsive navigation menu, top website designs, website menu designLeave a comment on How to setup your Website Navigation menus? 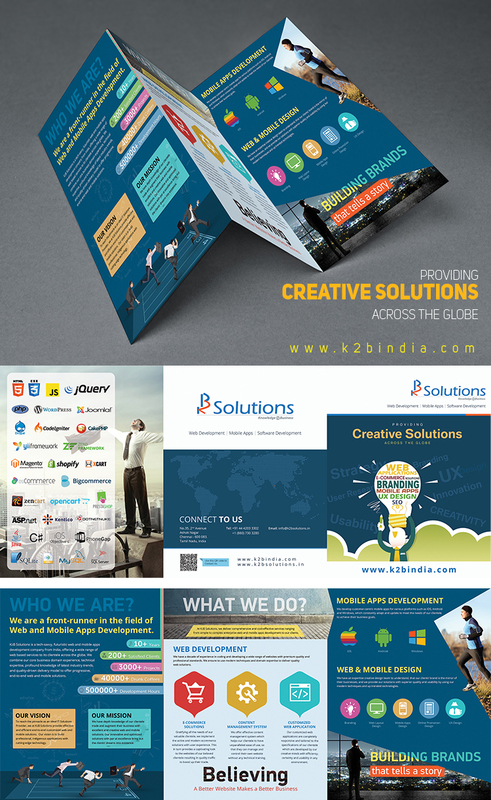 K2B Solutions, a dexterous and certified web designing company in India is one of the renowned leaders in the souk of web-services. In this ever-increasing virtual world, we deliver astounding web applications and mobile apps to gratify the diversity needs of our beloved clientele. Our team of skilled professionals with trained expertise exploits latest tools and cutting-edge technology to construct tailor-made websites across the globe. Back-to-back solutions from K2B Solutions are crafted with par at excellence to bump up your company by having a full-scale control over it. Starting from website creation, our team of professionals cares adroit at handling colossal tasks like e-commerce sites and so on. Web presence with the exact marketing strategy mix makes you unbeaten in the industry despite of the size of the business. Our pioneering and reliable software development services always grab the attention of the target audience resulting in huge traffic towards the websites. At all times, our services are within the budget of our clientele and expected at optimizing your cost and escalating the opulence to a greater extent. Above all, our pre-built and customized Content Management System helps you in updating your own content, images and so on. This assists you to structure your personalized content in an organized manner to makes your task even easier. If you’re the one looking forward to augment your online business with the striking websites constructed using the state-of-the-art technology, then K2B Solutions will be the right choice for you. 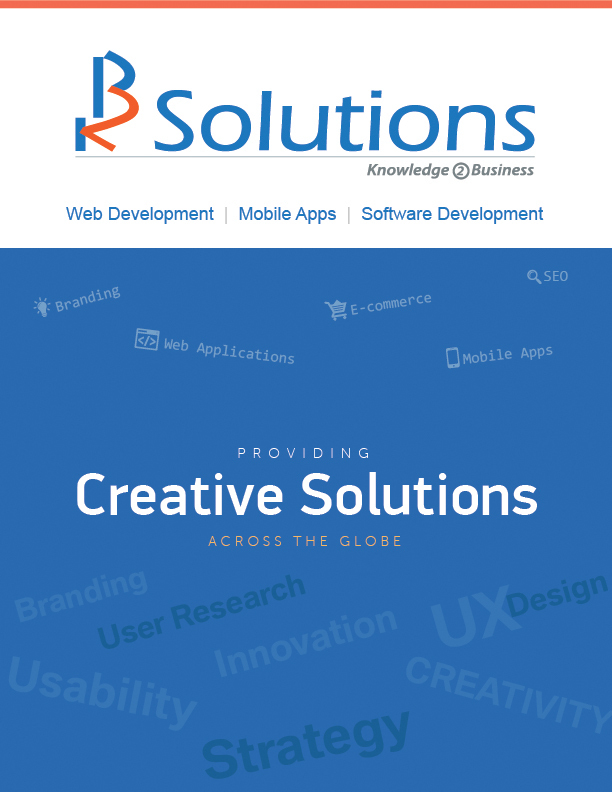 Anyone can avail our web and mobile application development services. Have a virtual and visual experience of the property, which you’re gonna buy. Wherever you’re in this world, you can get a piece of land or a constructed property anywhere across the globe through the real estate websites. 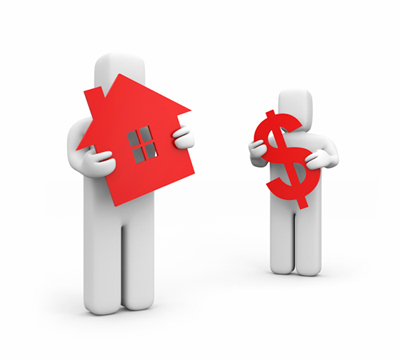 Not only buying and selling, renting a property can also be quite easy through these sites. The visualization of these websites will present you the real-time feel of gawking at the property in person. If the appearance of the websites astonishes the users with its design and the necessary features, this will in turn get innumerable user responses to them thereby boosting up the real estate business of the company. Why Real Estate Business to be systematized? No one will get satisfied easily by viewing fewer numbers of properties as it is a life-time investment. Hence, presenting a large number of properties and comparing them with one another will gives the supreme striking gold to all the buyers. With the rapid and continuous improvement in technology, real estate business also got systematized and gained sufficient response from the end users. The evolving internet and its great features like presentation upshots with photos, videos; database of storing aplenty of data; its mode of reaching people at their place made each and every business pushed towards it to arrive at the grand success of it. Responsive Design– one design, one website to view on all devices like mobiles, desktop, laptops, iPad, etc. On-page SEO – Search Engine Optimization techniques are used to make the content rich and search-engine friendly. Additional modules like rental database module to display the photos of the property; real estate agents module to display the contact info of them; rental availability calendar to show the accessibility of the property and rental pricing grid to provide the pricing of rentals. How the above-mentioned features assist in business? Each and every feature that are used to design a real estate website helps in their own way to broach the business to satisfy the real estate company proprietors in yielding a superior views from the customers. Fully automated website makes the real estate business to be highly systematized, so that it can be administered at any place across the world. Custom template web design will grab the attention of many users to engage in using the site for more information. Modular and multi-tiered will fit any size of the real state companies. Responsive websites will offer the universal access despite of the screen resolutions of the devices. This helps the users to view the properties at any place with the device of their choice. Multiple Listing Service gives wider access to the database and the modules present in it. This sort the properties by house type, city, town, state; and by brokers, realtors; displays the properties of similar requirements like price, sq. ft. of it. Google Maps will give the accurate location with the correct coordinates on the map. On-page SEO will bounce the website to have high traffic as they use keywords to boast high responses and also make the content search engine friendly. Get a piece of an own land or a rented one easily through these attractive websites which is at your reach!!! Author K2B SolutionsPosted on June 23, 2014 Categories Website Design ServicesTags best real estate website design, best web designs in real estate, real estate company website design, Real estate website designs, website Design Company best real estate website Design CompanyLeave a comment on How an attractive Real Estate Company Website Design Assists in Business? A single page web design is great for small websites that don’t have too much of the content. It helps you to keep your content easy to navigate while heavily relying on scrolling. The single page design technique enables you to convey linear and controlled information to your visitors and makes them focus on important details. Today, website visitors are used to scroll down a website to read more information that leads to more possibilities for the layout of your site. A lengthy homepage with many web design elements can help convey more information to the visitor; however, longer pages can also overwhelm visitors if they are cluttered with website content. In 2014, keep an eye out for lengthy and considerately designed web pages, and also consider about how you might engage your visitors by encouraging them to scroll. Flat user-interface or flat UI is an up-and-coming concept in web design, which is being implemented on so many websites. This is a technique that focuses on website content and provides a fundamental design with less distracting elements. Flat UI takes a much more basic approach, mostly with a less image-intensive web design. Less number of images and simpler web design elements enable faster load times and thus help those who will load the website on a slower internet connection. Previously, menu bars are placed in the header of a website, mostly near the logo. As the users scroll down, the navigation would disappear with the header. So, if the users want to navigate further on the website, they have to scroll back to the top of the web page. To avoid this, many websites have now fixed the header bar at the top of the browser window, allowing it to follow users as they scroll down the web page. This allows users to easily access the menu, and thus improves navigation and serves as a subtle prompt for the users to drive deeper into the website. If your web page consists of too much of the text, then your visitor might choose not to take the time to read it. Large type can help you to make headings that draw the attention of the readers and make them to read the rest of the content. Generally, the average reader decides within a few seconds whether your website is worth exploring. So, these large headings can help you to grab the attention of the readers and pull them into other content on your website. Parallax Scrolling is a special scrolling technique that helps in animating both background and foreground images as you scroll. This not only creates depth but also the web page to life. As you scroll through the web page, both text and other graphics will become animated, and they also move on the web page to help create scenery and change content. In the past, having large background images on a web page is hideous as it takes too much time for loading. Also, it makes a website look horrific, distracting and annoying. But, nowadays, large background images are no longer an issue of loading time. But, the question here is whether the background image fits with the website. With the perfect web design and image, the web designers can easily connect large background images into the rest of the web design, helps in enhancing the user experience. In previous days, the browser limitations and the low internet speed connections prevent video backgrounds from being easily implemented within a website. However, the newly introduced browsers can able to seamlessly play video that can ingeniously augment a website’s design. This is because video backgrounds are generally designed to support the website design and content. 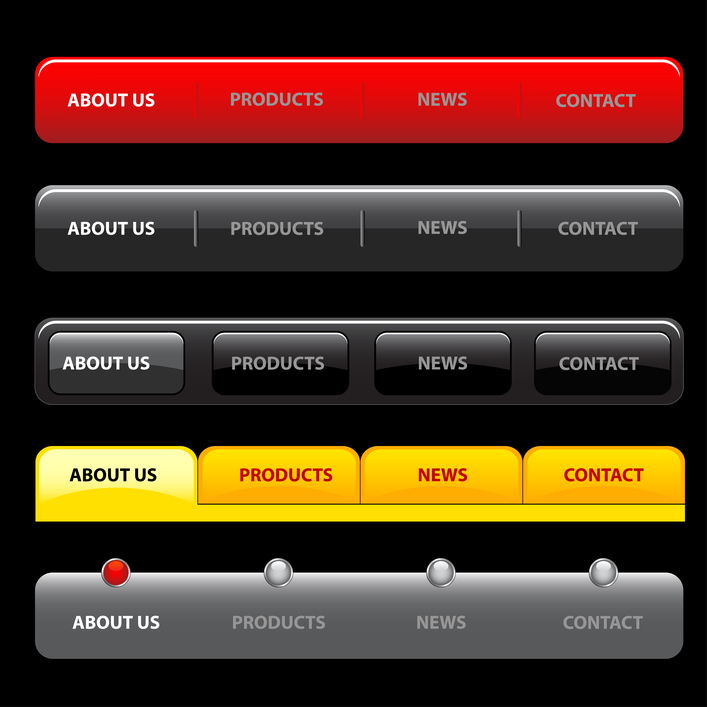 The best way to implement a mobile website is a responsive web design. It helps you to avoid having a completely separate set of content and a new web design. Using responsive web design, you can utilize existing content that perfectly responds to the resolution of any devices, such as mobile, tablet or desktop, whichever your visitor is using. Within a responsive design, you can accentuate website content important to mobile users, such as time, location, or phone number. The responsive web design has been very helpful to maintain mobile websites effortlessly; Instead of just having to persistently change a second set of website content, the responsive web design will integrate with your already existing content to provide a flawless browsing experience for your mobile visitors. Due to the adaptation of Apple’s Retina screens within the iPhone, iPad and MacBook products, we have seen the requirement to have high resolution graphics integrated into websites. Hence, high-resolution screens are doing a great job of reducing pixilation and making websites look exceptional. Third-party services are available in handy, helps in showing video on a website, implementing a newsletter system, or collecting stats on visitors to a website. Using third-party services, you can get your website access to fantastic and robust software that can satisfy many expectations. Software as a service or SaaS allows you to integrate with a service that is already being developed for solving a problem. These services are free for a certain amount of usage and then they charge for additional usage or for more features. Examples for Software as a service are MailChimp, Post Kudos, etc. Open source software helps you to build and implement so many features faster than ever, as it is developed by a large community to solve most common problems. Today, many websites are relying on content management system for adding, updating, and maintaining the content on the website. These content management systems are often open source platforms that have a community frequently adding new features, fixing errors and creating additional plug-ins to enhance the system. The above mentioned web design trends are booming in this current year 2014. It is nonetheless agreeable that many of these web design trends are going to set solid foundations for the future. Also, there is no doubt that there will be even bigger and industry-changing web design trends will take off in the next coming years.